When it comes to credit, My Credit Guy hears questions every single day from folks all across the country. 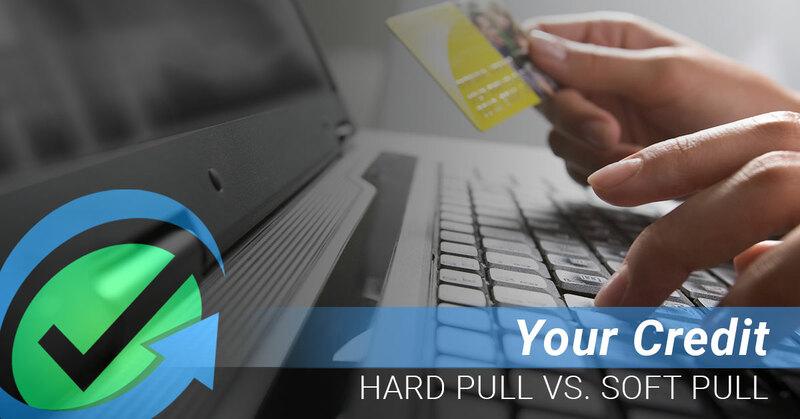 One of the most frequent questions we hear is, “what is the difference between a hard credit pull and a soft credit pull?” That is a great question to ask and very important topic to understand. A soft credit pull will not have any impact on your credit score and this typically falls under the online credit checks you may have heard of or tried in the past. A hard credit pull occurs when a lender actually pulls your credit to review your file for a real, potential loan that could take place as a result. Hard credit pulls do slightly affect your credit scores by pulling them down just a little bit. This is why it’s key to be aware of not having hard credit inquiries all too often. Do you have questions about your credit situation? Is seeing a sizeable increase in your credit score something you would like to have happen? If you would like a free, non-obligatory review of your credit, contact us today and one of our expert team members will contact you to discuss a personalized strategy for you.